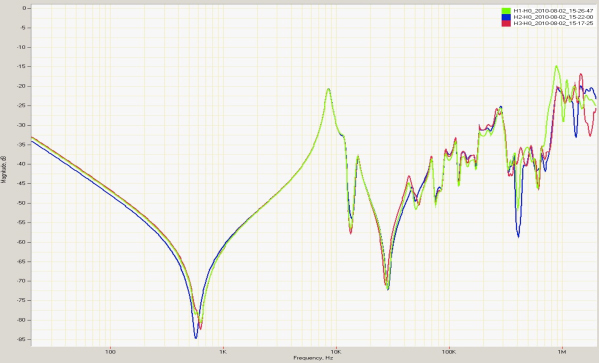 Measurement of frequency response in a transformer/reactor from an injected AC signal across a frequency range between 20 Hz and 2 MHz. Sweep Frequency Response is a major advance in transformer condition analysis, allowing you to “see” inside transformers without costly detanking. The standard definition of frequency response analysis (FRA) is the ratio of a steady sinusoidal output from a test object subjected to a steady sinusoidal input. Sweeping through the frequency range of interest gives rise to the S in SFRA, to distinguish it from impulse methods, which estimate the response rather than measure it. SFRA is a proven technique for making accurate and repeatable measurements. As compared to the “impulse” technique, SFRA is preferred for frequency domain measurements. It covers the full dynamic range and maintains the same energy level for each frequency, providing accurate, consistent results. A high signal-to noise ratio across the entire 20 Hz to 2 MHz frequency range ensures valid measurements.